Dana offers an extensive range of thermal-management solutions designed to meet customers’ changing requirements, from enhancing vehicle performance to reducing emissions. 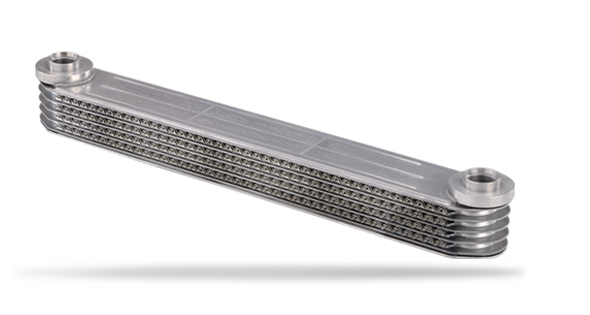 The Long® in-tank style heat exchanger is a transmission oil cooler designed so hot oil flows through the inside of the cooler as cold water in the radiator tank flows around the outside of the oil cooler. Optimal performance is achieved when the oil cooler is mounted in the cold side radiator tank where the hot oil and cold fluid (glycol/water mixture) will have the greatest inlet temperature difference.